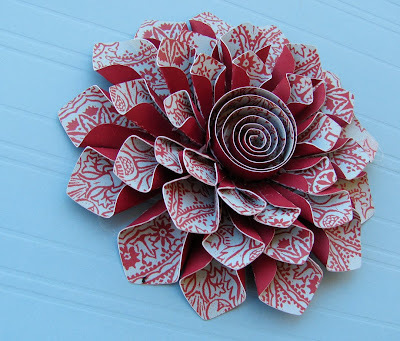 Cactus and Olive: Paper Corsage and FREE DOWNLOAD! Paper Corsage and FREE DOWNLOAD! - I didn't bother with the cardboard and different color of felt for the base-- I just glued everything to a 2 inch diameter circle. -After I got the petals all glued on, i put the 1" diameter circle on top, then took a 12"x1/4" piece of paper and curled it, then hot glued it in the center! Like I said before, I don't take credit for the design or idea of this flower, all instructions came from this blog post and the designer is Megan Reardon. You can also find this corsage at notmartha.org. However, if you do want to make them from paper, I am uploading free cut files that you can download and use! Good Luck and I would love to hear from you if you use the file! Hi Loni, I have purchased a bunch of your images at the silhouette site. I would love to be able to upload this so that I can cut it out on the Silhouette, but I can't seem to get it to work? It's teacher appreciation week and my daughter's teacher would just LOVE this flower!!! Hi Jennifer! Thanks for the heads up about the file and thanks for your downloads thru the silhouette site! I went ahead and made it a gsd file, so you should just have to download it, and then hit "file-open" and all should be well. But let me know if you have any other problems. loni...these are so cute! if only i had a fancy cutter. i may attempt this without one, when i get time. Oh, my! Thank you so much. My husband and I were sitting here saying we should draw that out so I could make it out of paper with my Silhouette. When I make one I will send you a pic. I think it will be fun to ink the edges of the petals or use glimmer mist. Thank you so much for the freebie. Appreciate you giving up your time and sharing this wonderful gift. Can't wait to try it and ooooo glimmer mist would be great...or maybe glue edges and dip in glitter? Thanks for sharing this adorable flower tutorial and image. Can't wait to try it out on my new silhouette. I saw the same tutorial for the felt flowers and have been drooling over it ever since! Thanks for doing the work to convert it to a Silhouette project..it's next on my "To Make" list! First time at your site and thanks for the share and tutorial. Have to check the rest of the blog out. Have a great weekend. This is unbelievably gorgeous! Thank you ever so much for sharing it with us. Found you via Mel (up there) on Pinterest. Gorgeous flower, can't wait to try it! Thank you SO MUCH for the file! 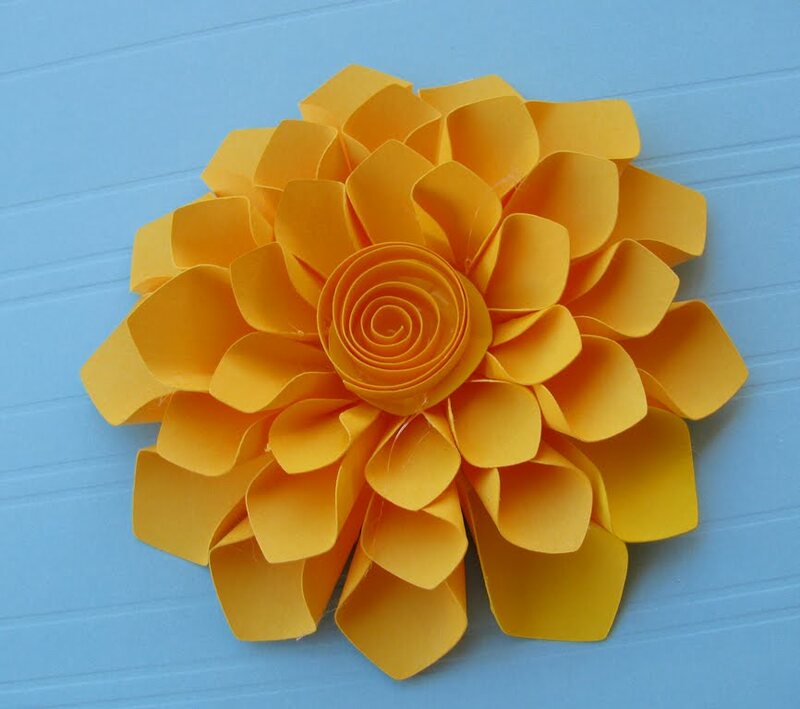 I really love the flower, but I do not have a fancy cutter. Can you make the pattern available in a file so I can make it with scissors? For my daughter's 7th birthday, we are having a tea party. I would love to give each girl a pretty courage. I saw this flower on Pinterest and had to come over to check it out. I could not get the svg link to work. I may play around with making a file myself. I will let you know. Thanks for sharing. Hey everyone, the download is now working. thanks for the heads up! This is so beautiful!! But I can't find the gsd file only the svg file, what am I doing wrong? Thanks for this file. Someone made me something very similar in felt (made it into a brooch)- and I thought it was such a lot of work... she did it all by hand though! Thank you for the download. Love it. Can I still download this? I love it! I am unable to open the file as well. This came out beautiful, I can't wait to try it. However like the other recent comments it seems that the link is no longer good. Help please! And thanks in advance.